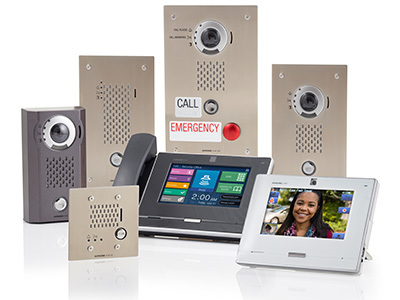 We partner with many industries to provide security communication systems for a variety of needs. Explore them below. Our local Aiphone Experts are always available to assist you. Request a meeting to get started! Maximize productivity by protecting your assets – people, property, and profits. Explore a variety of solutions for business environments, multi-tenant high-rises, and commercial campuses. Safety for educators, students, and staff is a top priority. Protect your schools with proactive solutions for entry security, internal communication, paging, and alert notifications. Caring for others is your main concern - let us help with security and nurse call solutions. Give staff confidence to do their jobs knowing critical alerts will be relayed at proper urgency levels. Your facilities are a stronghold for safety and protection. Monitor perimeters and control your entry and exit points. Empower guards with a robust security communication system. A safe and secure facility allows government employees to focus on what’s important – leading. Manage solutions for local, federal, and international government organizations. Home is where the heart is and the things you hold most dear. When reliability and trust are “must haves” for your security system, turn to Aiphone for to meet your residential needs.